I decided to make my Sunday Ragu Pasta sauce recipe in the crockpot and I'm flabbergasted how good it is! The sauce came out thick, dark and beautifully rich. I barely had to do a thing. No mess, no browning, no pots and pans to wash. We snuggled on the couch watching football and movies, while the house filled with mouthwatering aromas, and I didn't have to jump up once. If you are a beginner cook, this is the recipe for you. If you want to impress your family without all the work, this will do it. We will be making this a new tradition in our family and I bet you will too! I grew up eating Ragu spaghetti sauce. My mother used it for her spaghetti and even though she really didn't like to cook, we loved it her spaghetti. I followed her tradition, and in all my years of cooking I've found I can't beat the affordability, convenience and the flavor. The company states "The sauce is slowly simmered to add layers of flavor." Those flavors make it the perfect sauce for all of my dishes. I use it for Cacciatore, soups, and many other wonderful dinners. I even add a few tablespoons to my tapenade! It takes any dish up another level. Ragu uses farm grown ingredients and there are NO artificial flavors and NO high fructose corn syrup in their sauces! For those of you who need gluten free, Ragu has stated that any gluten will be clearly noted in the ingredients. 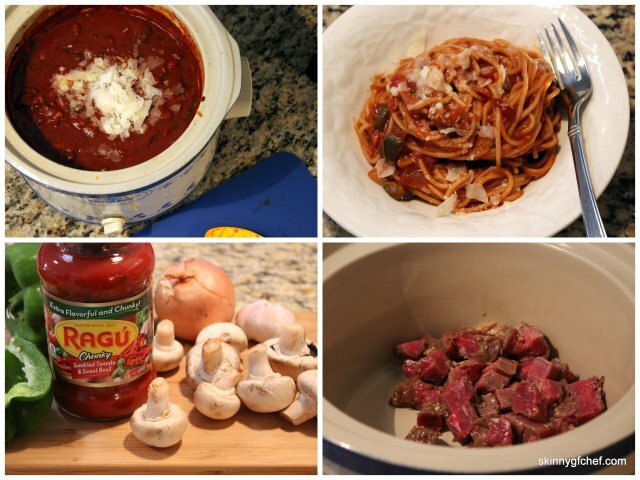 Click here to see all of the recipes you can make with #Ragu! In a large crockpot, add the ingredients in order above. Cook on high covered for 4-6 hours, or until sauce has thickened and turns a dark rich color. Stir noodles into a large pot of salted boiling water, cook per package instructions. Especially for gluten free, cook just to the point of al dente/with a little bite. Drain. Return the noodles to the pot. Add enough sauce to coat. Cook on low, stirring for a few minutes to finish the noodles. Serve with parmesan and a green salad. Yum!! This sounds like an easy, healthy Sunday dinner. Our Sunday routine ALWAYS involved takeout, though I hope one of these days to get my act together and get back to cooking more. This looks and sounds so delicious. I love a slow cooker meal that saves times and tastes delicious. Can't wait to try this! That looks so good. 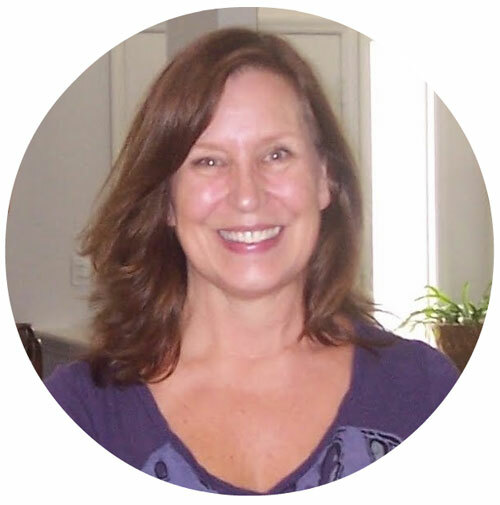 I use my crock pot so much because I'm not able to stand for long periods of time to cook a full meal. I'm can't wait to try your recipe. This sounds like such a simple recipe and one that even my fuussy toddler would like! I have to give it a go! We love Ragu sauce in our house! I never thought to mix up other things into our sauce this sounds really good! Yum! I love me some Ragu! Sometimes I like to spice mine up by mixing 2 different varieties, or mixing the meaty prego with a mushroom ragu. So good! It looks good and I can smell it from here. I love pasta, and making some innovations like what you did maybe a good idea. I will definitely try it at home and I know who's to blame when it becomes a tradition for us too. Although I love a good slowly simmered sauce, I admit that more often than not I use my favorite jarred variety. This looks delicious! I have to admit that I've never been a fan of jarred sauces...I grew up in a home where we made fresh homemade pasta sauce ALL the time! Pastas are a huge staple in our house as they feed a lot! I am always on the lookout for new sauces. Crockpot sauces are the best! Slow simmered for ALL the rich flavors. I've not bought pasta sauces in a while! I'm tempted to get a Ragu sauce after seeing all the pictures here! We love pasta.. I love crockpot meals! I always use my crockpot to make homemade pasta sauce and I absolutely love it! Ragu is one of my go to tomato sauces. I love that there is wine in this recipe - it makes all the difference in my opinion. I love that Ragu isn't using HFCS in their sauces. It's our favorite brand of sauce and just another reason I love them so! I am a big Ragu fan! I also love a good crockpot recipe so thanks for this! Anything in the slow cooker is alright by me - especially pasta. Yum!